Dr. Dong Kim is a Professor and Chair for the Department of Neurosurgery at McGovern Medical School at The University of Texas Health Science Center at Houston (UTHealth). As Director of the Mischer Neuroscience Institute (MNI) since October 2007, Dr. Dong H. Kim leads the clinical neuroscience efforts for UTHealth and the Memorial Hermann Healthcare System. Combining the strengths of an 11-campus hospital group with 3,600 patient care beds and the academic resources of the UT System, MNI provides the most specialized treatment available for diseases of the brain and is a national leader in research for new treatments. 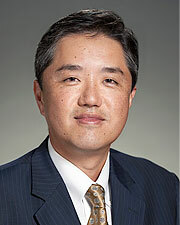 Dr. Kim is noted for his research into the origin, development and treatment of brain aneurysms. He leads basic science efforts, such as identifying the genes that lead to an inherited risk for aneurysms and genetic changes in brain tumors, and translational projects that directly affect clinical practice. He has been honored with numerous awards and was named to America’s Top Surgeons, Marquis Who’s Who and Who’s Who in America. He is the recipient of grants from the National Institutes of Health and the American Stroke Association and has authored studies published in journals such as Nature Genetics, Brain Research, International Journal of Cancer, Neurology, Neurosurgery, Journal of Neurosurgery and Genes, Chrom, Cancer.